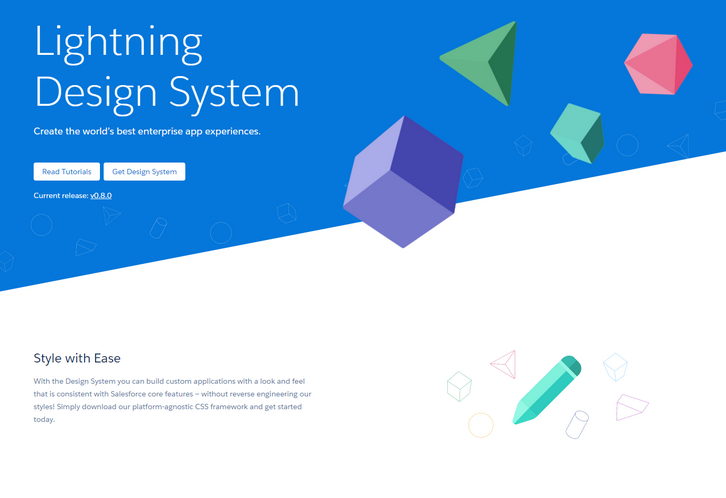 Lightning Design System helps you create the world’s best enterprise app experiences. With the Design System you can build custom applications with a look and feel that is consistent with Salesforce core features — without reverse engineering our styles! Simply download our platform-agnostic CSS framework and get started today. You can utilize the detailed guidelines to confidently design excellent apps that fit right into the Salesforce ecosystem. With the Design System, you get access to all of the Salesforce core visual and interaction design patterns so that you can follow established best practices and build apps that have a consistent look and feel with the Salesforce user experience. it’s nice but alot of items are in prototype state. Anyone have the 3-column template that I can use to put components into?